PATUXENT RIVER, Md. 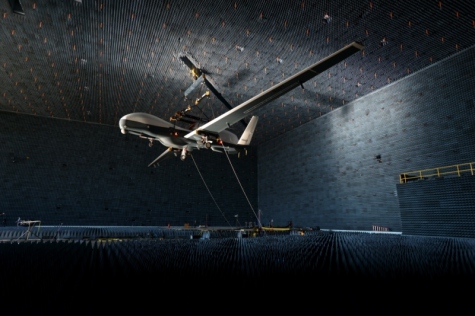 --- An MQ-4C Triton is lifted inside Patuxent River's anechoic chamber Aug.12 for electromagnetic compatibility (EMC) testing. 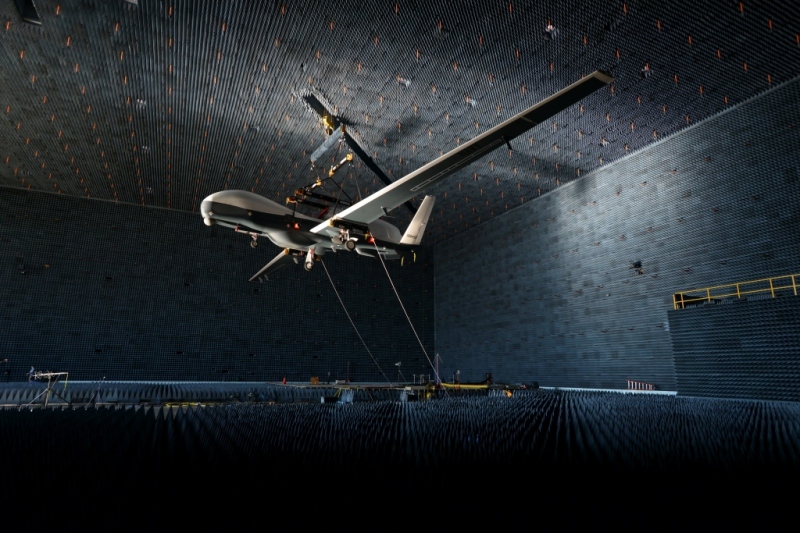 This event marked the first time that an unmanned aircraft inside the chamber was controlled from an external ground control station. Triton's EMC testing will continue for the next eight weeks to verify the aircraft's subsystems can operate without interfering with each other.